Miles is the lead pastor of Auburn Community Church. He has a passion for communicating the message of Jesus in a way that is dynamic, relatable, and impactful. After graduating from Kennesaw State University in 2011, Miles attended Reformed Theological Seminary and worked as a student pastor in metro Atlanta. He and his wife Courtney moved to Auburn to start ACC in August of 2014. Since moving to Auburn, Miles and Courtney welcomed their daughter Anniston in January of 2017. Chris and his wife Katie, along with their two daughters, moved to Auburn in 2013 from north Atlanta. Katie grew up in Auburn, and both she and Chris graduated from the university. They love living near family and enjoying life in a college town. Chris is in sales for a global company based in Atlanta. He and his family love being part of a church that is rooted in Christ, teaches radical faith and is committed to truth. David is the youngest of 6 siblings and was born in Philadelphia, PA but grew up in Marietta, GA. He moved to Auburn with his family in 2009, and owns University ACE Hardware. All 6 of David’s children and one son-in-law are members of our church. His wife, Carolyn, is our Community Group Coordinator. Rob Pate, former Auburn University defensive back, and his family of seven returned to Auburn in the summer of 2016 and quickly made the decision to call ACC home. Rob serves as a church elder and also leads the Dad's Breakfast Community Group. His wife, Dana, leads several small groups out of their home. They have a passion for praying and fighting for marriages, families, and the hearts of college students. Matt has been the worship pastor at Auburn Community Church since September of 2015. Matt has a passion for genuine worship and seeing how it can transform lives and lead people to deeper faith. He and his wife Caitlin were married in February of 2016. They are amazed at the journey God has lead them on since moving to Auburn. 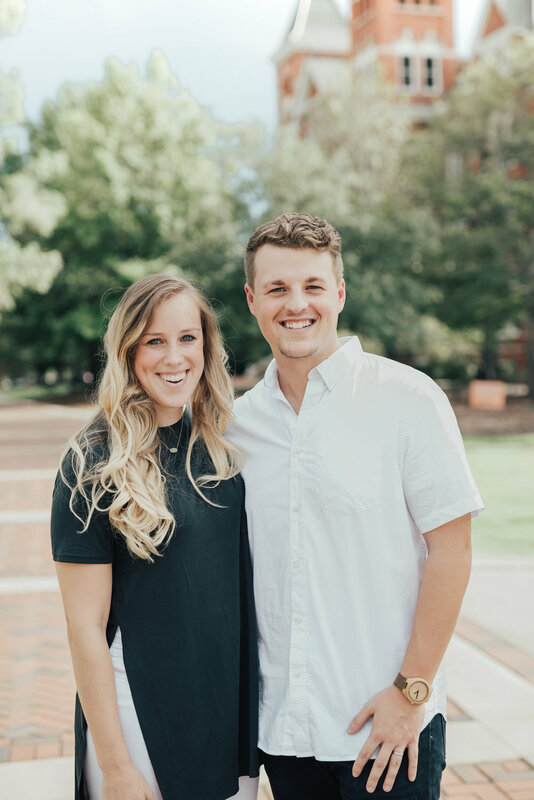 Matt graduated from Kennesaw State University with a degree in Business Management and is currently studying at Southeastern Baptist Theological Seminary. Nathaly is originally from São Paulo, Brazil and came to the United States to pursue her passion for photography and videography. The Lord drew Nathaly to Himself through ACC and she was baptized in 2017. She serves as the creative director, using her expertise to influence people through multimedia design. Brittany is originally from Newnan, GA. She moved to Auburn in 2013 with her husband, Jordan. Since becoming members of ACC in 2015, the Lord worked in both Brittany & Jordan in ways they could have never envisioned. As the Administrative Director, Brittany supports the team and members of ACC through her passion for organization and caring for others. It is Brittany’s continued prayer that Christ would be her stability in the present and the future and that she would trust knowing that He will always prevail. Cheryl Bell has worked in ministry for the last twenty years. 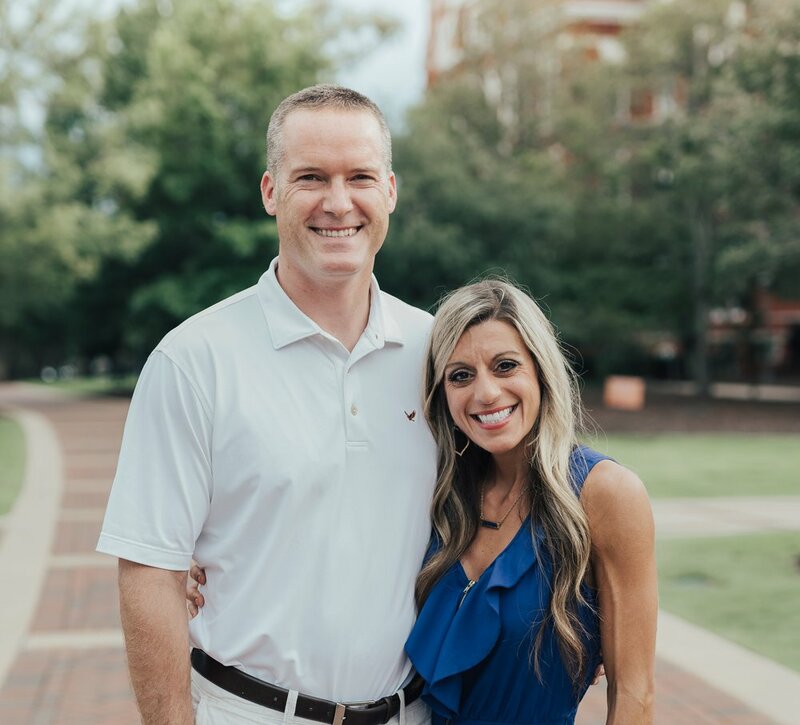 Before ACC, she was the Director of Events for the Passion Conferences, served on staff at North Point Community Church and for the past five years has been working with her husband in a design firm. She was brought to ACC through her two kids that attended Auburn University. Cheryl has a passion for building teams that represent the body of Christ working together and can’t wait to use her talents to serve His kingdom. Karen and her husband, Tim, were originally brought to ACC by the oldest of their three teenagers. Karen’s role is to prepare engaging Bible activities for the ACC Kids program each Sunday, as well as plan special events such as VBS, community service projects and field trips like bowling and outings to the zoo. Karen was drawn to the multigenerational atmosphere of ACC and believes she has the best job serving as the children's coordinator. Karen loves the curiosity and enthusiasm of the children she serves, and she loves partnering with parents to share the love of Christ with little ones. Tyler is originally from Auburn, but grew up outside of Washington D.C. in the suburbs of Northern Virginia. He always knew he would come back to Auburn, and was blessed to come back 12 years later just as ACC was beginning during his freshman year. He graduated in May 2018 with a degree in Communication, and was excited to jump on staff with ACC. He has worked with students through various ministries throughout his time in Auburn. His heart is devoted to empower the next generation to walk in radical relationship and an abundant life found in Jesus. Although he is originally from Tuscaloosa, AL, Brady decided to attend Auburn University in 2015, where he is currently pursuing a degree in Communication. Brady serves at ACC by overseeing the coordination and growth of the worship and production team. 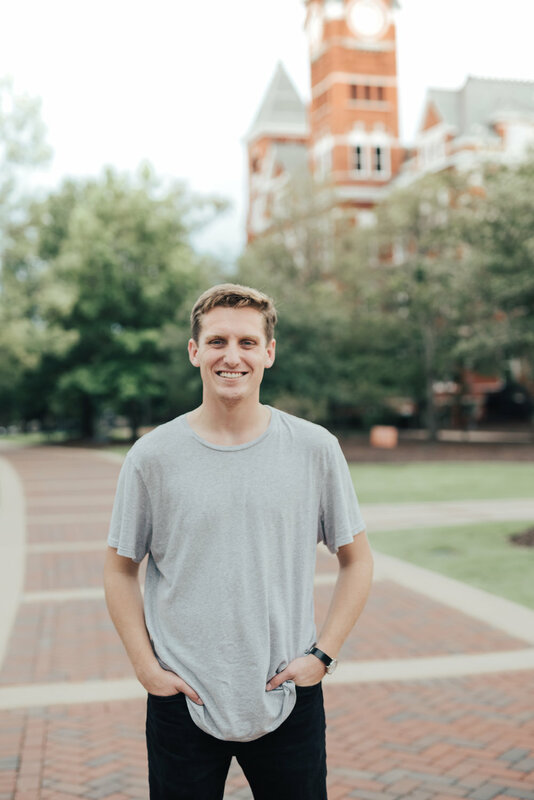 He first attended ACC during his freshman year at Auburn and began volunteering with the worship team. Brady has also been a part of the Leadership Development Program and was invited to serve as part of the ACC staff in August of 2017. Brady enjoys singing and playing guitar in his free time. Parker grew up in Auburn and has been in the ACC family for over 2 years. Parker leads the load-in/load-out team. With ACC being a fully mobile church, Parker leads the team that handles the equipment it takes to make our meetings happen. Parker is passionate about pouring into his peers and encouraging the body through service. Parker enjoys hunting, music, and spending time with others. Carolyn loves to connect people and help them find their “sweet spot” in community and serving. Her role at ACC is to establish healthy and supportive small groups that draw people closer to God. Carolyn Graduated from Auburn University in 1985, and along with her husband David, loves being part of a vibrant, growing church family. David and Carolyn have six children: triplets, twins, and a singleton.